A unique range of magnesium products created by nature. Ancient Lakes Magnesium sustainably harvest magnesium-rich minerals from our pristine ancient salt lake to create a unique range of wellness and personal care products. All our products are enhanced with our completely natural magnesium liquid ‘bitterns’ to boost your intake of this essential mineral and to improve your health and wellbeing from inside and out. 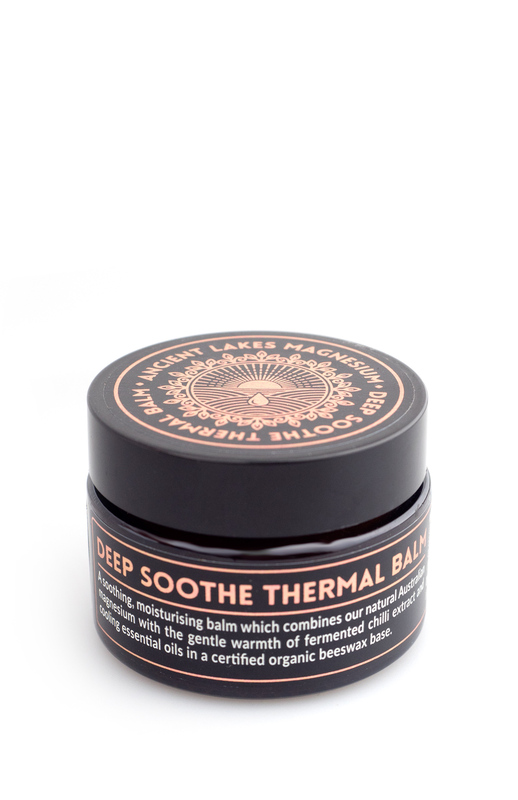 This soothing, moisturising balm combines our natural Lake magnesium in a certified organic Australian beeswax base. For three generations our family has harvested natural salt from Lake Deborah and enjoyed the benefits of pure magnesium in our diets. Now we are excited to share our unique range of magnesium products with you and your family, so you too can discover the benefits of this ancient mineral. Our company is 100% Western Australian owned and our magnesium and salt are produced naturally here in Western Australia. Our business is based on the principles of purity, sustainability and evidence-based health and wellness. Magnesium is essential for life – over 300 reactions in the human body depend on it. The best source of magnesium is a healthy diet, but research tells us that you may not be getting enough through your food alone. Our modern lives contribute to depleted magnesium through stress, alcohol, refined foods, ageing and soft or treated water. If your magnesium levels are out of balance our unique range of supplements can help you to increase your intake of this critical element for improved health and wellbeing. Deep in the Western Australian desert lies pristine Lake Deborah, protected within a Salt Harvest Sanctuary. This ancient salt lake provides a sustainable source of our ionic magnesium products: 100% natural, organic, additive-free and vegan. We work in harmony with nature to ensure that Lake Deborah’s unique ecosystem is protected, leaving our magnesium bitterns and salt free from modern pollutants. Add our magnesium bitterns to a cocktail, or use our Mineral Balance salt to rim your margarita glass!